What is an energy audit anyway? We invite you to join us in an audit of a super-insulated timber frame structure built in 2008. This is a thorough analysis of the energy efficiency of the structure utilizing the 'house as a system' approach where not only the efficiency and comfort are considered, but also building durability and occupant safety issues. We'll spend an hour in the classroom discussing the process and tools used and then go out into the field to actually conduct an audit. We'll re-group in the classroom at the end of the day to review our findings. Students will receive a copy of the auditors report with suggestions of how to improve the efficiency of the home. Students will walk away from this class with a thorough understanding of what to expect from an energy audit and why it might be conducted, familiarity with the tools used, and an understanding of how to improve the efficiency of a home. Non-Refundable Registration Deposit:$100 To be deducted from tuition - balance due the first day of class. This Registration fee can be transferred once at no charge. A second request for transfer will incur a $100 transfer fee and a third request for transfer will result in the loss of deposit. All deposits on tuition and tuition payments are non-refundable. Join us to discuss the possibility of integrating Solar Electric and/or Solar Hot Water to your existing or new home. Our guest speakers include designers from Revision Energy who will discuss viable renewable energy options including: solar electricity, solar hot water, and wood fired boilers. And Ben Tipton, home owner of the solar electric and solar hot water system featured here. Our presenters will discuss renewable energy applications for your home, the costs of these systems, your return on investment, and show completed project photos of some the hundreds of Maine residents who have already made the switch to one of these sustainable energy options. The program will last about an hour and will include time for questions and answers. This is a FREE one hour workshop with a question and answer session at the end but you must register in advance as space is limited. Send an email with your name, address and phone number as well as the class subject and date to info@shelterinstitute.com or call 207-442-7938 to reserve your spot today. AutoCAD is the de facto standard when it comes to designing and drawing in CAD in North America. It is used by more architects, builders, and engineers than any other major design application. Many of the functions and concepts learned by using the software can be directly applied to other CAD applications. This course will explore the fundamental operations of AutoCAD. It is intended for the beginner or novice user, and designed to give the student a strong working knowledge of the application and develop skills useful in a work-related setting. 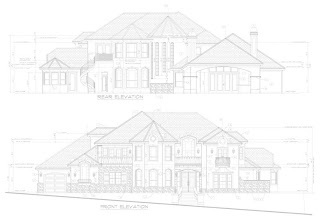 The successful student will emerge from the course with the ability to draw annotated floor plans, building elevations, and construction millwork details using most of the major drawing tools and functions. The emphasis of this course is 2D drafting (future classes will address 3D drawing and rendering). Students are required to bring a computer with them to the course with a recent copy of AutoCAD or AutoCAD LT. Email us if you want to take the course and do not have a computer to bring with you because we have limited supplies available. The Instructor for this class is Gregory S. Cavanaugh. Greg has over 16 years of experience in architectural design and construction. He has worked for small and large architectural firms, national construction and design-build firms, and directly for owners of large porfolio properties. Most recently, he was Director of the Design Department for a commercial design-build firm in Newton, MA. He has experience in many building types, including hospital/medical, industrial facilities, colleges & universities, commercial office and retail properties, and high-end single-and multi-family housing. Greg studied architecture at the Boston Architectural Center in Boston, MA and Industrial Technology and Fine Arts at University of Southern Maine in Gorham. Non-Refundable Registration Deposit:$200 To be deducted from tuition - balance due the first day of class. This Registration fee can be transferred once at no charge. A second request for transfer will incur a $100 transfer fee and a third request for transfer will result in the loss of deposit. All deposits on tuition and tuition payments are non-refundable. It is that time of year—the snow is flying and it seems like the gardens and fields are all sleeping. It is winter. Actually the snow really is flying outside right now. We have about 18-inches of it on the ground and the skies are full of it. As I sit inside snug and cozy with my cup of coffee flipping through our collection of gardening books, I can't help but wonder if spring will ever arrive. I happen to be a bit of a brown thumb myself but after reviewing all of the amazing books (over 50 titles) I'm feeling very inspired. And from what I gather, now is the ideal time to plan your garden and get yourself geared-up for a successful growing season! 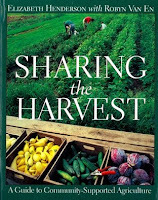 We've got a terrific collection of books, and in the month of February, we're offering a sale on all of the titles on the Gardening and Farming shelf. 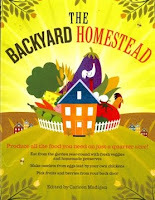 Beginning today and running through February 28th, all of the Farming and Gardening Books are 30% 0ff. You can take advantage of this sale in the store or online! I've included cover photos of a few of my favorite titles here to pique your interest. 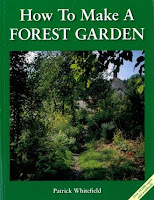 In our gardening section, you can pick up how-to books on everything from designing your garden to gardening in small spaces, keeping chickens or bees, opening a flower farm for profit, filling your root cellar, or even building houses for your animals! Perhaps you're not into gardening and you just want a nicer lawn. Maybe you have a lot of bugs and pests, or you really just want to know how to compost. We've spent a lot of time hand-picking the best books on all of these and more topics because of their exceptional information or for their excellent writing . . . or both! With the slow food movement in full swing, this collection is sure to entice even the least likely brown thumbs to get their hands dirty. And these books make great Valentines Day presents for those loved-ones who don't enjoy romantic movies, chocolates, or sweetheart candies. It's like giving flowers, but they'll need some time to bloom. "The way into a house--it’s driveway, it's doorway, it’s final arrival into the home is part of the way we extend an invitation to our guests, family, friends, intruders, salesmen, canvassers. This is our statement to the world that defines that fine line between their welcome and our ability to preserve our privacy. The word entrance is found in the dictionary as a noun that is 'the point or place of entering; opening or passage for entering." She goes on to describe entrances in other countries and how they create a relationship between the privacy of the inhabitants and the individual approaching. The entrance, and certainly the exterior of a home portray the attitude and personality of those living on the inside. What does your entrance say about you? This weekend, I took a hard look at my own entrance and realized that mine has none of the intrigue, mystery or charm that my Mom described. It is purely functional, cluttered with snow shoes, sleds and loads of firewood. And when you step over the threshold you arrive in our kitchen and living room area. Perhaps that portrays my husband's and my own open and welcoming attitude; I like to think that it was planned that way because our house is so far off the beaten path. If a visitor indeed makes it to our home, we want them to be enveloped into the warmth and comfort of it. After much reflection, I've decided that the structural component of our entrance is beautiful but that I might want to incorporate the "leading and inviting path that says. 'follow me—this is the way and on the journey in you may discover something magical'" that my mom describes. So I've set forth my summer project of extending our entryway, re-defining it, and beautifying it. Below is a series of timber frame entrances that we've recently built, to help you shape or re-shape the entrance to your own home. If you have an intriguing entrance that we could add to our gallery, send a digital image to info@shelterinstitute.com (please add "entrance" to the subject line). If you would like to have us custom design and build an entrance for your home send us an email with the basic design requirements, and we'll provide you with feedback and pricing. If you would like to read Patsy's article in full, it is featured on our web site under our Newsletter link. Shelter Institute students are some of the most talented, exciting, thoughtful and determined people in the world. And we love to keep in touch and hear what our graduates are doing. Check out this recent note from James and Kim Small Housebuilding Class of 2008. We thought you might be interested to see photos of our newest project on the island. We are very excited to have wind power now (although the winds have been pretty slow these past few days). The last photo (“CIP 006”) is a photo of James looking over a new charge inductive pulse battery conditioner. It is a novel device for rejuvenating any large battery and so far it seems to work pretty well. We are using it on our 16-battery PV bank, which has been in service for seven years now (and could use some rejuvenating). We now have figures for the past few months on daily and average kWh production from our small wind project, a Bergey XL.1 turbine on a 56 foot tower. I think the main lesson we have learned (and would like to pass along to others) is that PV panels (solar panels) are much more cost effective as a means of autonomous energy production than wind, unless the wind site is very unique (like the California or offshore sites that consistently get >20 mph. We did our own informal wind survey and felt fairly confident we'd get at least 1 kWh of production daily in the winter months (but only when the prevailing winds shifted to northerlies), and we've met that. However, many people we've spoken to have mistakenly used turbine specs rather than an integrated formula for wind speed and time to calculate what they will generate, only to be disappointed in the small amount of energy they actually are able to produce. Our Bergey is rated for 1.1 kW instantaneous production at 20 mph. While it does this quite well, the actual time that we get constant 20 mph wind is fleeting compared to the average wind speeds. For most homes, windspeeds at 50 feet above ground level are 5-10 mph throughout the year. Given that the wind energy production is not a linear relationship between wind speed and electrical generation, consistent wind of even 10 mph (compared with a 20 mph constant site) drops electrical production by 800 percent (half the wind cubed). This is consistently less than we produce with our 1,800 watt-rated PV system (ten 180 watt panels), even in a wintry January Maine. A friend of ours has a similar PV system with his panels angled for wintertime sun, and has been getting up to 7 kWh of production over the first days after New Years. For our own situation, with a household electrical consumption closely monitored and very little traditional energy use (no incandescent lights, no electrical heat, and super-low-energy refrigeration), we use about 4 kWh of electricity every 24h. For comparison, if we lived in a more typical U.S. household, we would consume 24 kWh (based on an average per capita daily energy consumption of 12 kWh in 2007[...]). Wholesale solar panels are now getting close to $1/watt in price (not production), which is a target many people think will make them competitive with grid-supplied power. Suntech, for example, is selling 10 kW of panels for $19,000 wholesale, which is under $2/watt. At this time, the lowest price individuals can get is somewhere around $3/watt. For example, we recently bought a 170 watt panel for $510 from Ramsond in Michigan. So, for the biggest green generation bang, we recommend solar panels. Compared to wind, the sun is ubiquitous. Our situation is unique in that we know we'll get wind when the sun isn't out in the winter, so the wind project fills in a gap in our ability to generate power year round, and we have no other means of getting non-fossil power out here. An alternative would have been to double our solar PV bank and add batteries to our current 2,000 pound battery bank, storing excess energy on sunny days for those days when we have wind without sun. Mortise and tenon, dovetail, lap joint, through-tenon, birdsmouth notch -- posts, beams, braces, roof rafters . . . spend five days with the Shelter Institute staff and learn how to design, layout, cut and assemble a timber frame structure. At the end of the week you will leave with detailed cut sheets for a 24x24 timber frame structure and the knowledge of how to hand-craft a timber frame structure yourself. The next Purely Post and Beam Class begins on Sunday January 24 and runs through Friday January 29, 2010 and there are still a few spaces available. Don’t worry about January weather in Maine because the class is held in a 10,000 square foot heated workshop. You will need a few tools for the class -- you probably have at least some of them but you may need to pick up a few items from our tool list -- the good news is that we have a great selection of timber framing tools in our specialty tools store and the really good news is that we offer a LIFETIME 10 percent discount to our students on top of our already very competitive prices. Below is a slideshow of photos from a recent timber framing class – take a peek and see if this is something that you would enjoy, that you could learn from, that you could apply in the field. If you are a grad -- please post a comment on your experience in our class! Shelter Institute students are some of the most talented, exciting, thoughtful and determined people in the world. And we love to keep in touch and hear what our graduates are doing. Check out this recent note from James and Kim who took the Small Housebuilding Class of 2008. The evolution of our back porch from an 1850’s-era summer shade piece to the backbone of a solar generating plant happened over seven years. We first designed and installed a 10-panel electrical system, wiring the house for both 12-volts DC and 120 volts AC, constructing a sixteen-piece battery bank, and hooking up everything to run through a panel with a smart charger and house-sized inverters. Our original intention was to start with wind as our power source, but fortunately we took a chance with sun first. Now that we have both wind and sun systems generating electricity for us, the sun has turned out to be much more reliable a power source, although the wind provides excellent supplemental power and provides charging on windy nights and stormy days, when the sun isn’t an option. A year ago, we finished the design for a solar water heating system using a re-circulating antifreeze loop and a 3 watt DC pump controlled by a Maine-designed electrical solar thermostat. We had difficulty finding plumbers in our area who were familiar with this technology, though we hired one company that had little experience with our type of design. In the end, we ended up reworking many of the lines, flow-meters, and check valves the plumbers installed to get our system to work. Our experience has been that many contractors try to sell themselves as “green” contractors and as having experience with alternative energy systems, but we have not found many that live up to their claims. Disappointingly, Maine winter sun is insufficient to heat our small 40 gallon hot water tank to bathing temperature, so we designed and built a second parallel antifreeze loop to run off our wood stove. The heat exchanger is a fabricated deep water-filled copper pan in which our closed antifreeze loop is immersed. The antifreeze is re-‘circulated through our hot water tank using a second 3 watt DC pump and electrical controller. Since we heat our home with wood in the winter, this system provides sufficient hot water for our winter domestic use. Join us for a FREE workshop on Geothermal January 15 9:30-10:30 AM. We've invited guest speaker Tom Myette who works with Midnight Oil Company of Newcastle, Maine. They specialize in geothermal heating system installations and maintenance. Tom will explain the basics of geothermal systems and how they work, the components and options available as well as cost, maintenance and long-term benefits. This is a great free opportunity to get a handle on what geothermal really is, what the pros and cons are of this type of heat. Start the new year and new decade off right . . . . learn a new marketable skill. Join us for an 8-week class on AutoCAD. The successful student will emerge from the course with the ability to draw annotated floor plans, building elevations, and construction millwork details using most of the major drawing tools and functions. The emphasis of this course is 2D drafting (future classes will address 3D drawing and rendering). Students are required to bring a computer with them to the course with a recent copy of AutoCAD or AutoCAD LT. Email us if you want to take the course and do not have a computer to bring with you because we have limited supplies available. The tuition for this course is $300 per person.